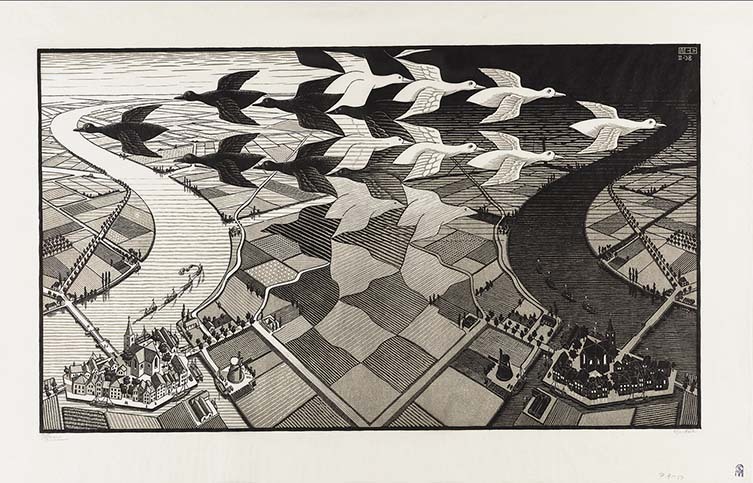 Opening this December at the National Gallery of Victoria (NGV), Escher X nendo – Between Two Worlds is an exhibition that presents Dutch graphic artist M.C. 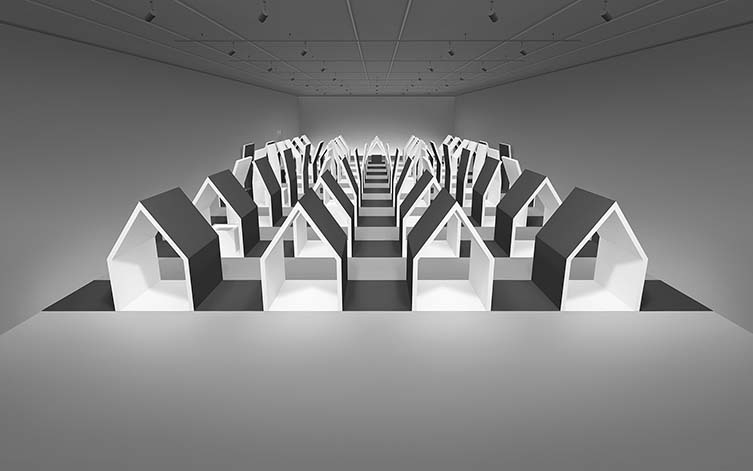 Escher’s iconic works—visual puzzles akin to optical illusions—seamlessly to life inside an immersive space designed by Japanese design studio, nendo. 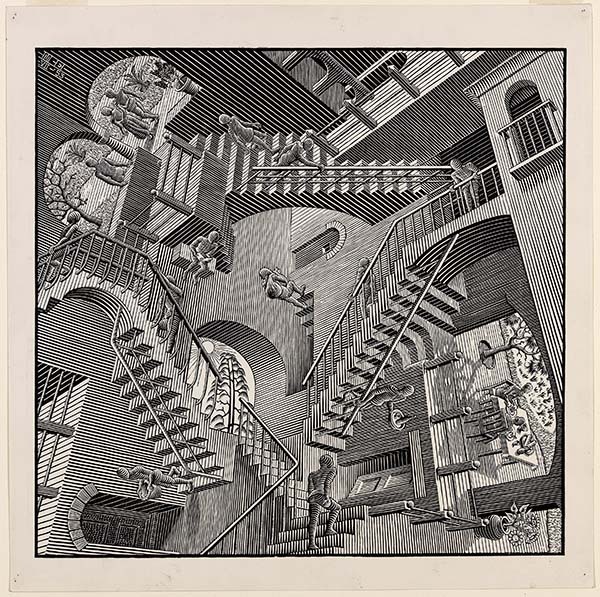 Combining one of the 20th century’s most recognisable artists with one of present time’s most innovative design studios, more than 150 of Escher’s drawings from The Hague’s Gemeentemuseum will be on show from 2 December 2018 to 7 April 2019 at the Melbourne gallery. 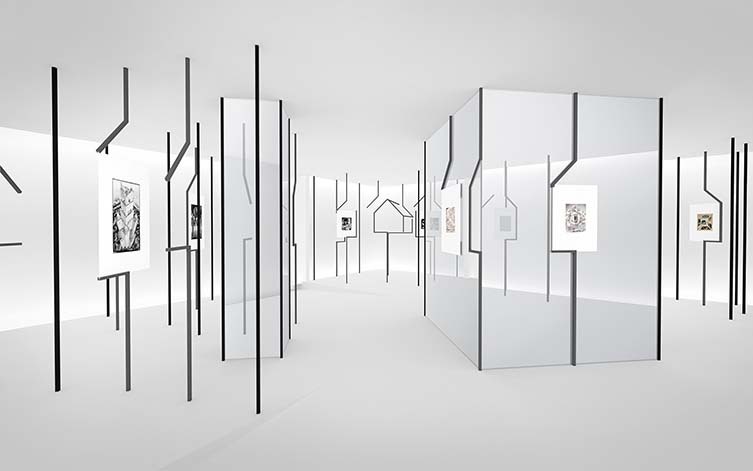 The press release explains in more detail: Escher X nendo | Between Two Worlds is the first exhibition in the world to feature the extraordinary work of Dutch graphic artist M. C. Escher in dialogue with the work of acclaimed Japanese design studio nendo, led by designer Oki Sato. Seamlessly presenting the worlds of one of the 20th century’s most recognisable artists and one of the 21st century’s most inventive designers, the exhibition will feature more than 150 of Escher’s most renowned prints and drawings from the collection of Gemeentemuseum in The Hague, presented in an immersive exhibition space designed by nendo, alongside never-before-seen work from the design studio.